Can place-making help foster social cohesion and community resilience? Mambourin is a masterplanned community located in Wyndham Vale in the City of Wyndham; one of Australia’s most rapidly expanding growth corridors. The site comprises 115 hectares of land including 1200 residential lots planned for development by 2024. The site is bounded by Armstrong Road to the east, the Outer Metropolitan Ring (OMR) transit corridor to the west, Black Forest Road to the south and Greens Road to the north. The vision of Mambourin is to create a 20-minute resilient neighbourhood where every day needs are met within a short walk, ride or public transport trip. Over the next three years, Resilient Melbourne will be working in partnership with Frasers Property Australia and Wyndham City Council to identify opportunities for participatory development models that enhance social connectedness in Mambourin. Frasers Property Australia are engaging local Aboriginal elders; Co-Design Studio; Neighbourlytics and the Foundation for Young Australians to support community-led place-making and applied analytical tools that will strengthen Mambourin’s new community, and build multi-cultural and intergenerational leadership and connections. Future residents of Mambourin will be involved early in the development of the site with a view to building community from the ground up and strengthening social cohesion. 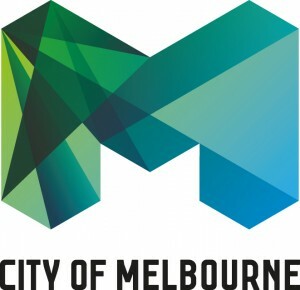 Resilient Melbourne will engage academic experts from Monash University to test and evaluate participatory development models applied in Mambourin. It is envisaged that the project will uncover new learnings about how to build social cohesion and resilience in greenfield growth areas. Resilient Melbourne in partnership with Wyndham City Council and Monash University with funding from the Department of Environment, Land, Water and Planning (DELWP) and support from Frasers Property Australia is leading the Living Locally Research Project as part of a commitment to enhancing local liveability in Mambourin. This project supports implementation of the Resilient Communities Projects, DELWP’s 20-Minute Neighbourhood Pilot Program, and Wyndham City Council’s commitment to building community connectedness and resilience in Mambourin. Academics from Monash University are being engaged to deliver a report about staging the delivery of social and community infrastructure in Mambourin to encourage community development. The report is planned for delivery in August 2019. The outcomes of the Living Locally Research project will inform the approach to creating a 20-minute neighbourhood and building community connectedness at Mambourin into the future. 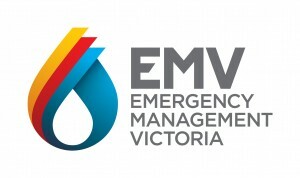 The research will contribute to new knowledge and improved practice in creating 20-minute resilient neighbourhoods in metropolitan greenfield settings. Resilient Melbourne is working with Frasers Property Australia, Wyndham City Council and Monash University to help create a strong, connected community in Mambourin.